COIMBATORE: T Senthivel, dean of agriculture and animal husbandry at Gandhigram University called on public to undertake studies pertaining to how plastics and other inorganic wastes could be used. He was speaking to TOI after delivering a lecture at a conference on ‘environmental challenges towards waste management in India’ at PA College of Education in Pollachi on Friday. “Plastic wastes can be used in the laying of tar roads,” he said. 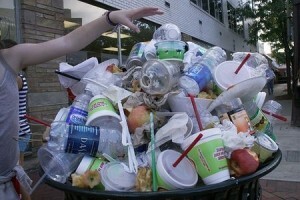 Some plastics can be recycled to make pipes and other materials. But studies to ascertain other options are essential, considering the rising inorganic wastes generated. He also discouraged the use of plastics. Most plastic material is not biodegradable and this really taxes the environment, he said. Facilities to filter sewage water should be installed. The water if filtered can be used for irrigation, he said. This is already being practiced in some parts of the country and should be extended to other places also, he said. Baiju K Nath, assistant professor of education at Calicut University who presented a paper said that many packed foods are packaged using imported materials made from wastes. “Much of the packaged food products like soya beans are actually the remains of beans imported after extracting its milk from countries like America,” he said. Measures can be taken even in households to limit wastes, he said. A few pipes installed in households through which organic wastes can be filtered can create an environment for farming. However, lack of a concrete policy on waste disposal is the major problem. “We do not have many places for disposing off wastes safely,” he added.